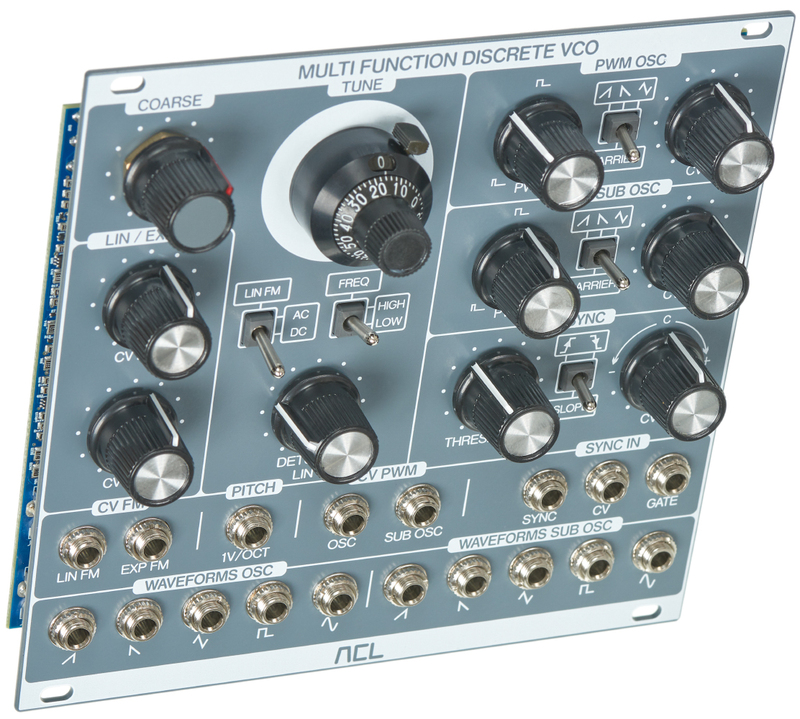 The Multifunction Discrete VCO is based on a completely discrete circuit, producing very low noise and distortion. It features five simultaneous waveforms coming from the main oscillator and as many from the sub oscillator : ramp, saw, triangle, pulse and sine. Both pulse outputs provide manual and voltage controlled Pulse Width Modulation (PMW) with selectable carrier. The Vernier dial allows very precise tuning, which is very useful for FM sounds. 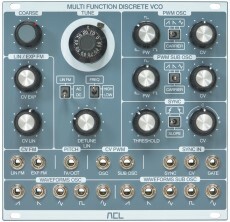 The oscillator can also be switched from high to low frequency to be used as an LFO. Thanks to linear as well as exponential FM inputs with individual attenuators, plenty of modulations are possible. 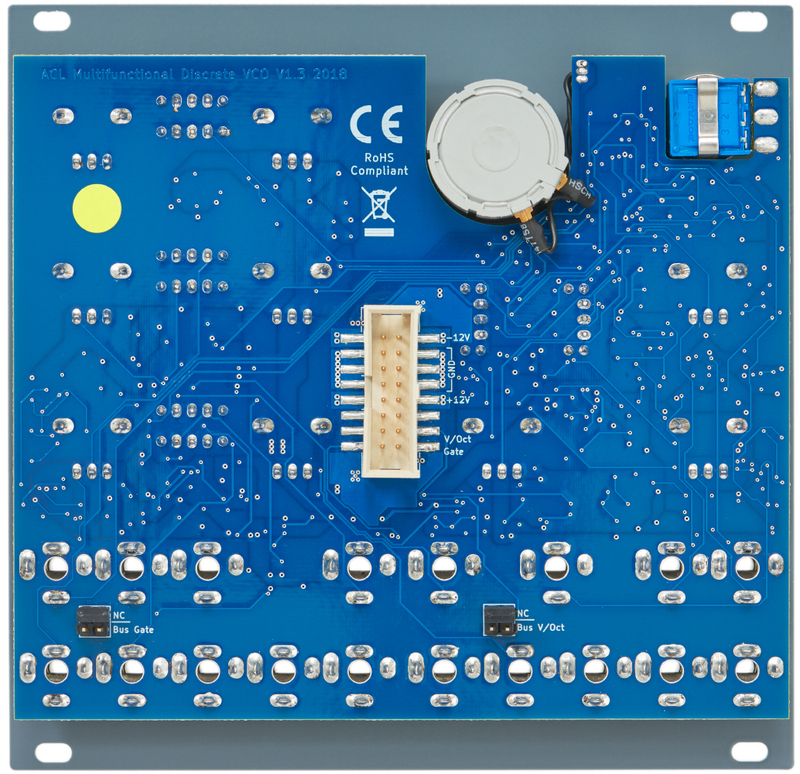 Furthemore the linear input can be switched from DC to AC. 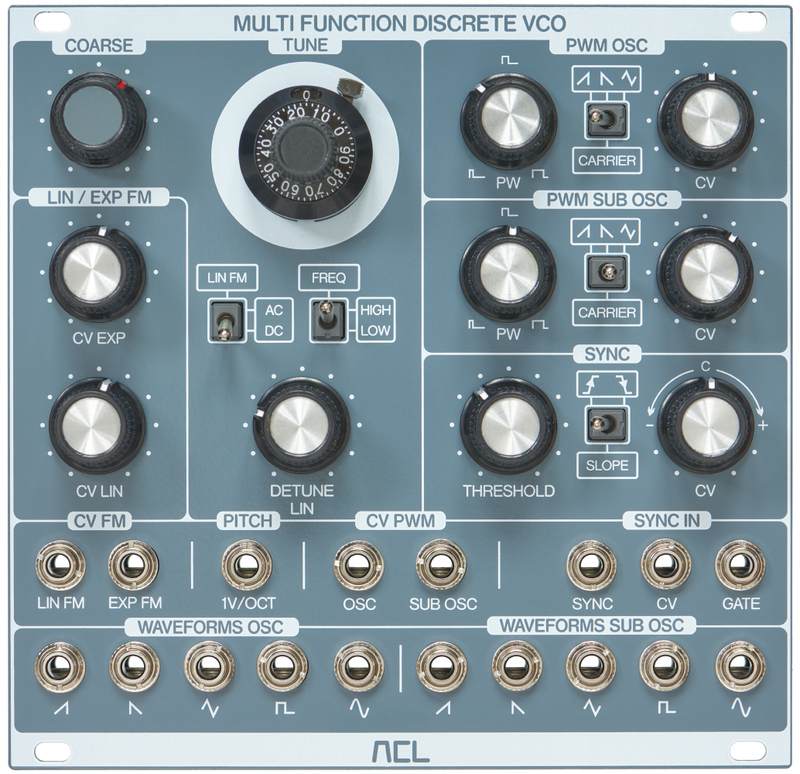 There is also a Linear Detune potentiometer which enables perfect control over „oscillator beating“ when used with another VCO. This oscillator provides variable sync, adjustable from soft to hard sync with the Threshold potentiometer which is even CV controllable. Additionally you can select if it synchronizes to the falling or rising edge. Thanks to a reset input, the VCO core can be reset, which is useful for producing very clean basses.